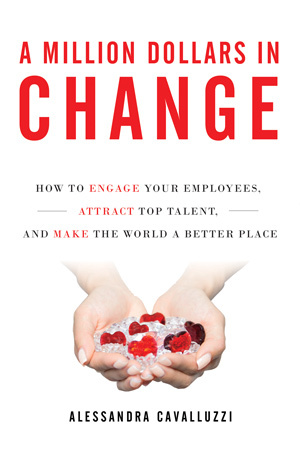 Alessandra Cavalluzzi is the author of A Million Dollars in Change: How to Engage Your Employees, Attract Top Talent, and Make the World a Better Place (Wise Ink, Spring 2018). With over a decade of experience in Human Resource management, Corporate Social Responsibility (CSR), Corporate Communications, Public Relations, Event Planning, and Employee Engagement, Alessandra Cavalluzzi advises both corporate funders and non-profits, and is a sought-after guest speaker and panelist at HR and non-profit events. Alessandra is currently the Director of Community Relations overseeing corporate giving, fundraising, and employee volunteerism for MSC Industrial Supply Co., a multi-billion dollar company with over 6,000 employees around the world. 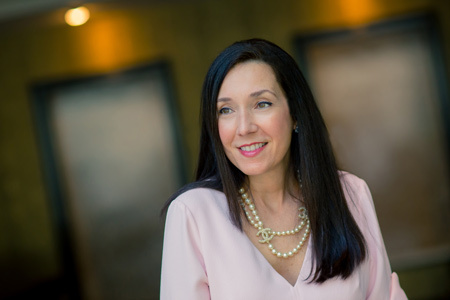 An innovator in corporate employee engagement initiatives, Alessandra has helped teams develop, execute, and manage engagement surveys from conception and implementation to results analysis and action planning. She developed and leads a team of brand champions comprised of 100 members globally. These individuals represent every area of the business, and serve as ambassadors for the company's culture and brand. In addition, Alessandra also oversees the company's Community Outreach Team which is made up of 80 members globally. The group champions volunteerism and community involvement across the company's locations. Alessandra believes in the power of curiosity to transform lives, and that learning is for a lifetime. Aside from reading and writing, she enjoys art and loves to draw in her spare time. A guide to corporate giving that goes beyond ''checkbook philanthropy,'' the book provides a step-by-step plan for creating a giving program that engages employees and attracts talent to your company while at the same time forging measurable, impactful partnerships with nonprofits that serve your broader community. Drawing on the author's personal experience in creating a groundbreaking program at her own company, this accessible, easy-to-implement guide to corporate social responsibility proves that creating a million dollars in change doesn't have to cost a mint. A Million Dollars in Change highlights the win-win nature of CSR programs: community organizations get much-needed support while companies grow employee engagement and brand visibility. Published March 2018 by Wise Ink Publishing.